Air Djibouti should launch revenue services on 15 August using a Boeing 737-400, with operations set to be expanded around the end of this year with a 767-200ER which is ready to undergo preparation in the UK. Being provided by Cardiff Aviation company VVB Aviation Malta, the 737-400 is scheduled to leave St Athan airport in Wales on 9 August. After collecting additional air and cabin crew in Malta, the narrowbody will arrive in the African nation two days later. 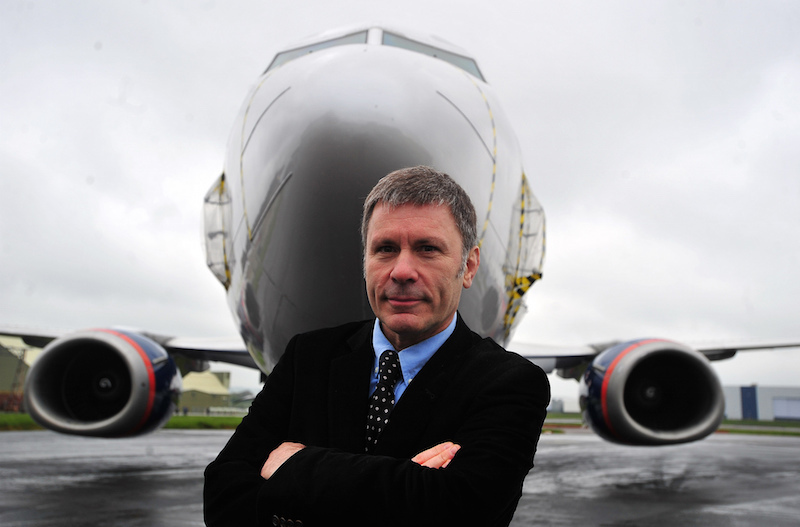 Cardiff Aviation chairman Bruce Dickinson – who will be among the crew flying the 737 to Djibouti – describes the type as a “perfect, and very robust aircraft” for the nation’s aviation requirements. After testing of infrastructure including ticketing and baggage handling in-country, initial services will include transporting pilgrims to the annual Hajj in Saudi Arabia. Other likely near-term destinations are Addis Ababa in Ethiopia, plus Kenya; and scheduled services to Dubai should commence “in fairly short order”, says Dickinson. Following the lead aircraft’s introduction, he says, Air Djibouti could wet-lease a BAe 146 or Avro RJ regional jet to build local services before its 767-200ER becomes available. The widebody is already at Cardiff Aviation’s St Athan facility, where it is to undergo a heavy C-check and also receive a new interior. After its arrival, the aircraft – a former Silverjet asset now owned by the Djibouti government – will begin operations to London Gatwick airport. Dickinson says the launch of operations for Air Djibouti should prove Cardiff Aviation’s “airline in a box” concept, which includes the provision of aircraft, crews, maintenance and insurance, plus personnel training, adhering to European Aviation Safety Agency standards. The activity also should prove profitable for the nation “very quickly”, he adds. Noting that the same operating model “would work equally well” for other African and Southeast Asian nations, Dickinson says Cardiff Aviation is eyeing “two or three” other opportunities at the moment, although these have yet to develop into letters of intent.